The capital of autonomous Inner Mongolia received its new stadium from the Chinese government in 2008. With little space available no sports center was created with it. 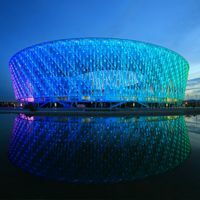 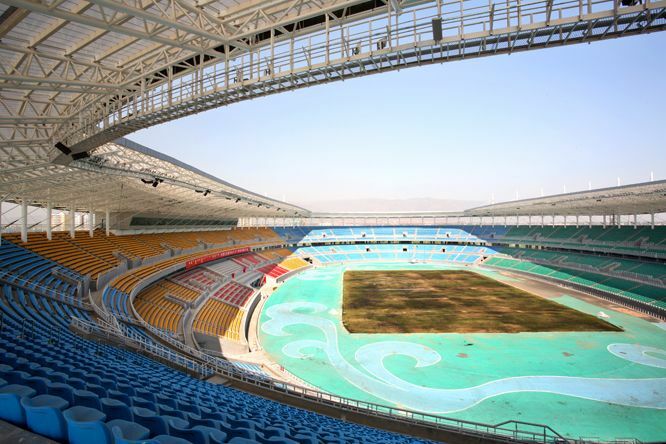 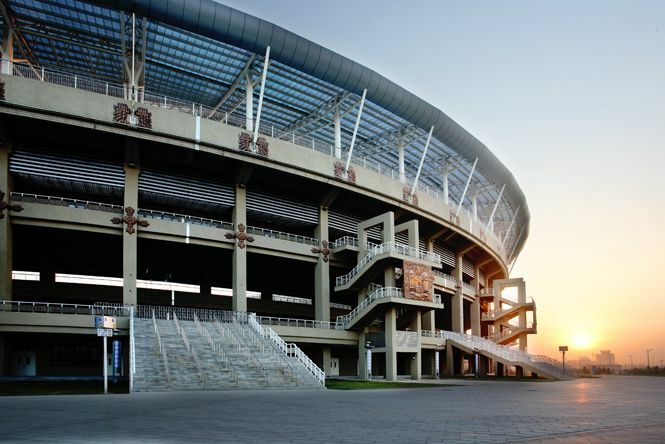 The stadium alone covers a 120,000 sqm of land in northern Hohhot. 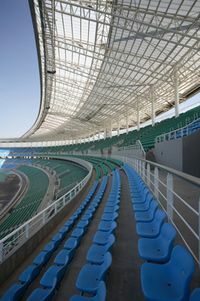 Most of the double-tiered stands are covered with polycarbonate sheets, while the exterior is very simple and frugal. 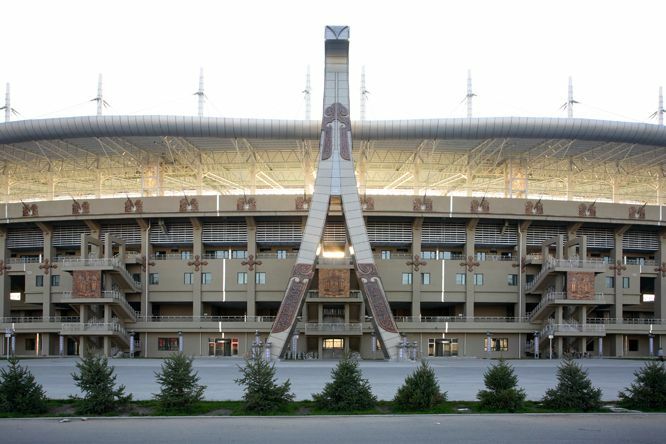 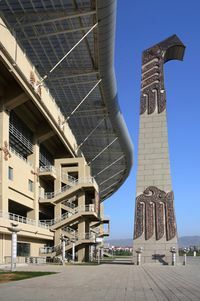 With only the painted concrete and traditional sculpted decorations, the stadium’s modest appearance refers to the rough steppe climate on this highland region.